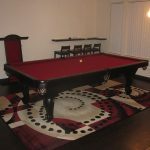 This handsome custom built pool table was a little hard to wrap up. 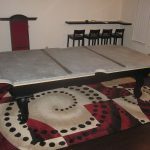 But the surprise was there when I rang the doorbell and said, “your pool table is here!” This was our third pre-Christmas delivery of the day, boy was this one heavy. 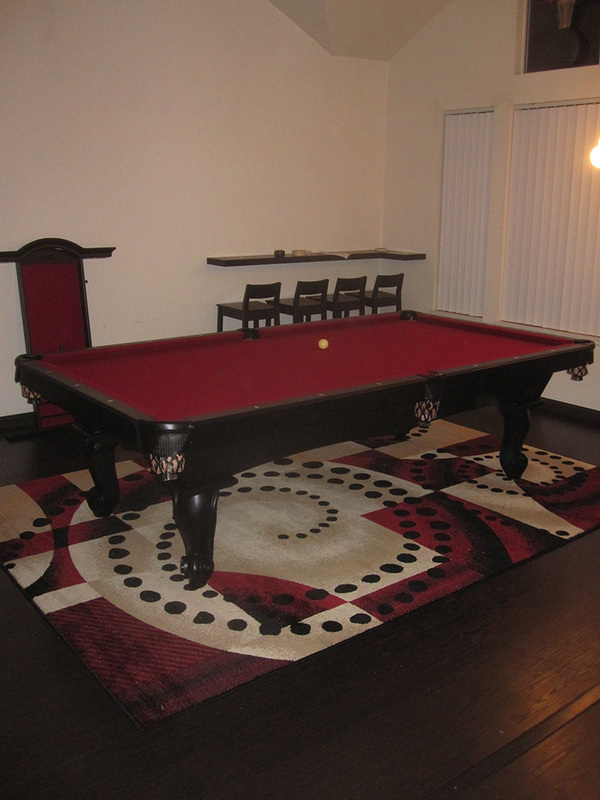 Connelly Billiards custom built this one for our Lake Forest, CA clients. 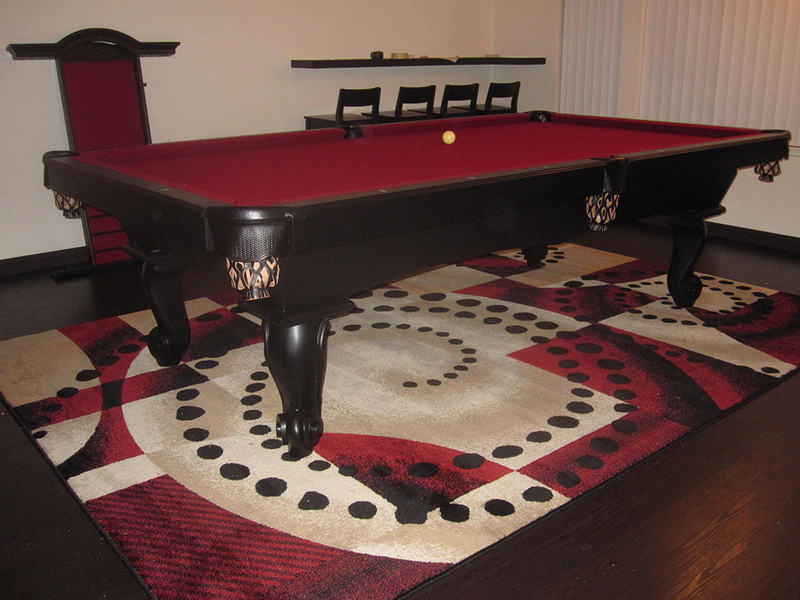 It’s a nine foot, matte black, solid maple Sabino with Burgundy felt. 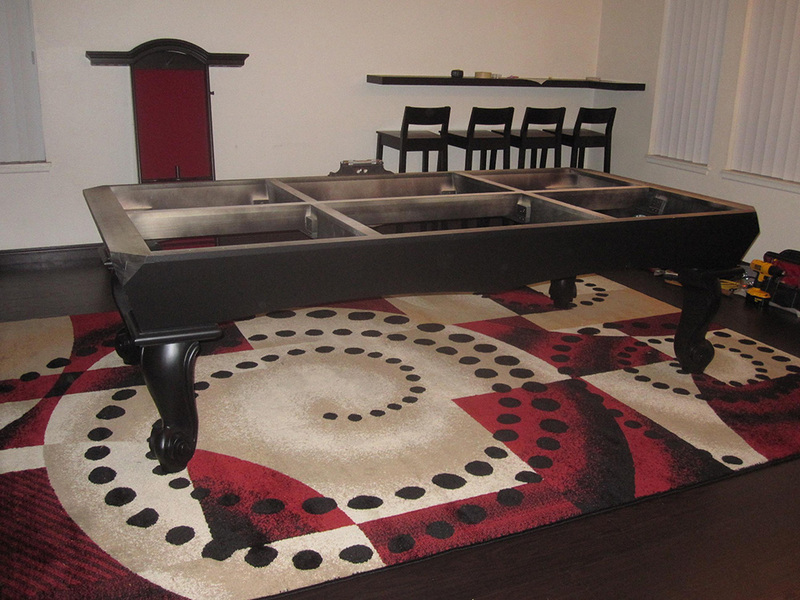 All Connelly nine footers come standard with inch and a quarter slate. 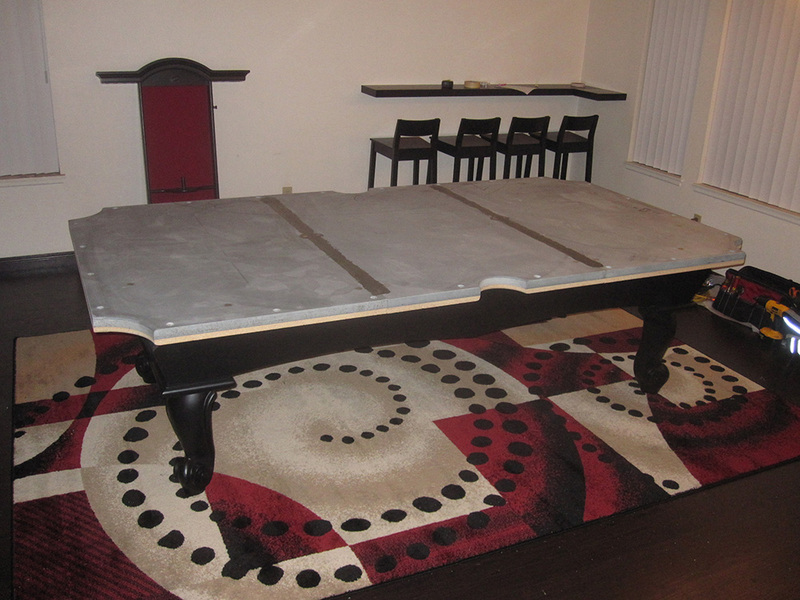 Fully assembled this pool table weighs in at around 1100 lbs.